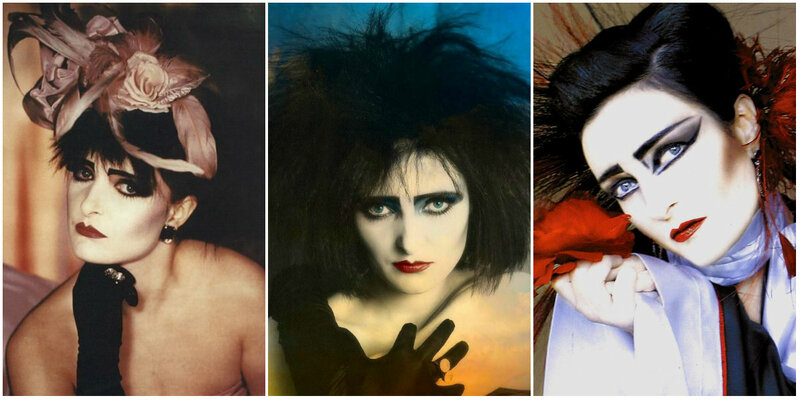 She became the icon of Goth girls everywhere, a mantle she didn’t accept or relish, but nonetheless Siouxsie Sioux is synonymous with goth style, even being referred to as the ‘Godmother of Goth’. Born Susan Janet Dallion, the front woman of Siouxsie and the Banshees took the group’s name from the Vincent Price horror movie Cry of the Banshee. She debuted in London’s 100 Club in 1976, singing a 20 minute rendition of the Lord’s Praye,r accompanied by Sid Vicious on drums. She was part of the infamous Bromley Contingent, although she despised being labeled as such. Siouxsie and the Banshees released their first album in 1978, entitled The Scream, with Hong Kong Garden hitting the top ten in the British Charts. Her punk rock style was copied by edgy women everywhere, and helped breed a subculture of “Batcavers,” named after the Batcave club in the Soho district of London, England which is often considered to be the birthplace of gothic subculture. The things that most exemplify Siouxsie’s look are bold, Egyptian inspired makeup and electric hair. Although she is known more for her look in the 1980s New Wave scene, where she started a movement in hair, fashion, and makeup, her origins were rooted in punk, wearing deconstructed clothing as we see now. The early 1970s was the dawn of completely new and innovative fashion, the likes of which, the fashion industry had never seen before. Vintage clothing was reworked, torn, and reconstructed with safety pins. Vivienne Westwood launched fashion into a whole new direction, expanding on the look of deconstructed clothing, by adding controversial elements such as chicken bones, used to spell words like “ROCK” on t-shirts. Siouxsie embraced that style and led the movement into 1980s mainstream culture, taking it from street fashion to the cat walk. Her clothing was layered and boxy, draping off of her slender frame. She played with contrast, taking aspects of men’s fashion, such as oversized suit jackets, vests, and shirts, and accompanying them with leggings, fishnet gloves, stockings, and studded jewelry. Never the victim, she was a woman in control of her image, and was a source of inspiration to many young girls who wanted to emulate that tough rocker chic. In makeup, the strong retro looks being worn today can be traced back to Siouxsie’s heavily lined eyes and bold colored shadows.